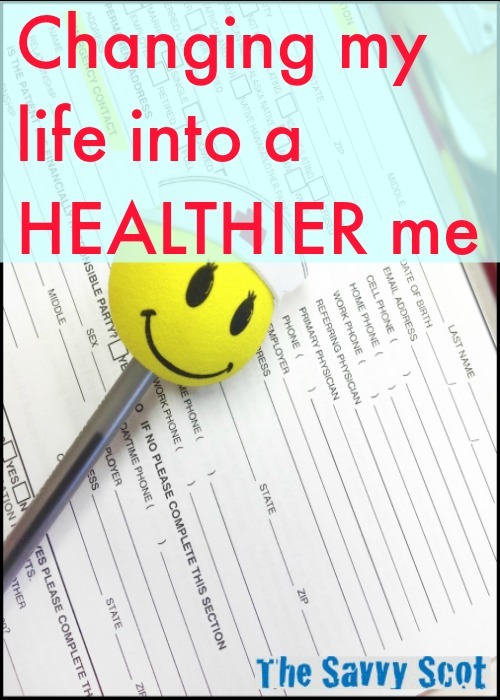 This is a guest post from Clarisse, my VA, about how a medical scare made her form new healthier habits. Enjoy! It was a Saturday morning, June 7th, my mom’s birthday, my husband and I decided to treat my mom and the whole family to a Filipino restaurant. When we were all dressed up and ready to go, I felt a sudden burn and knew it was my UTI again because I tend to have it about three or four times a year, so I’m getting used to this feeling and pain. I hurriedly took my medicine, pain reliever and antibiotic as my Doctor prescribed to me before. After an hour I felt better and able to take my hungry family out. On the next day, we went to one of my relatives, where we did harvest fresh fat crabs and big shrimps! Oh, I can’t even remember how many crabs I ate, but a few minutes later, I could feel the pain again, my aunt told me that seafood is very high in uric acid and I shouldn’t eat it if I have a UTI. I took my medicines again and the pain was gone after a few minutes. After a week, my husband needed to go back to work which meant leaving us. I could feel my right side was aching a bit. I went against my husband’s advice to see a doctor because the pain was still tolerable. After two days, the pain was getting stronger; I searched a lot on the internet about the possible reasons why I felt this pain. I had read that the untreated UTI can cause a kidney infection or gallbladder infection. I was afraid because I had all the early symptoms of a kidney infection except a fever. Three hours later, I felt very cold, so I laid down and was alarmed because this was the last symptom that I expected! I took a Paracetamol and after a few hours, I felt better again, so I got back to work as usual. But during that night, I had three chills attacks! I even dreamt of my deceased father giving me medicine, maybe he just worried about me because I was a father’s girl before. But when I woke up my temperature was very high! Early in the morning, I went to see my Doctor, he ran some tests and found out I had a severe UTI and my kidneys may get infected, but he didn’t tell me that I was seriously ill! So I went home, but I had a chilling attack again, and started crying because I couldn’t stand the cold anymore and I thought I was going to die! My mother had to force me to go to the hospital, I’m afraid of hospitals, Doctors, nurses and especially needles! When we arrived, I almost fainted, I vomited, I felt my heart beat too fast and too strong, and my fever reached over 40°C. My right side hurt, so I was scheduled for an ultrasound which showed both of my kidneys were inflamed with kidney stones and the result was acute nephritis! I was shocked, I never expected that result! After five days in the hospital and lots of medicines and antibiotics, my Doctor allowed me to go home. Aside from being afraid of finding out I have kidney stones, I was afraid of my hospital bill too! I was in a private room and I stayed there for almost one week, thankfully my health insurance covered it all, that was a big relief to us! My Doctor advised me to lessen or better NOT to drink coffee or soft drinks anymore, but instead to drink more water, I should eat more vegetables and fruits, but less meat, maintain a healthy lifestyle and never forget my medicines. I need to go back to my Doctor after 2 months to check if my kidneys are doing better and if the kidney stones are flushed “hopefully”. So now I carefully watch my diet, I used to drink 5 cups of coffee a day, I have stopped it. I used to drink soft drinks every day and eat sweets and oily foods. I also avoid eating salty foods, one of my favorite Filipino foods is “buwad”, it is a dried fish and it’s a very salty kind of appetizer. I avoid foods that are high in uric acid like sea foods like crab, lobster, and shrimp, sardines, meat that is ranked the highest especially organ meats, such as liver, heart, kidney and brain. And lastly on the list are alcoholic beverages, especially beer because I used to drink beer occasionally. I loved eating junk foods before and used to hold it, “gross” because I was too lazy to go to the restroom that’s why I had developed kidney stones and almost damaged my kidneys. I did a lot of research, I love reading articles and blogs and I really learned a lot from it. I had read that one of the best fruits for a person that has kidney stones is water melon because it contains the highest water content of any food, about 92% water. The regular consumption of watermelon can help keep kidney stones away. It is a very nutritious food, and also cheap. I decided to go to the gym every Monday, Wednesday and Saturday for 1 hour each session, of course I asked my Doctor first about this one, but he told me that I should drink plenty of water to avoid dehydration that can make my kidney pain. What about you, do you wait for catastrophic news to lead a healthier life? What was your trigger? What an inspirational article! Whether suffering from kidney stones or not, i think there is definitely a lesson to be learnt here! Oh my just reading this, made me have a flash back of when I had a UTI. They are terrible!